Is your child preparing for the Kent, Bexley, Medway, Bromley (St Olaves and Newstead Wood) or Sutton grammar selection tests? Does your child have impending independent school exams and need to keep up the momentum during the summer holidays? With the 11 + exams for grammar and private schools just weeks away, keeping up the hard work is key for your child’s success. 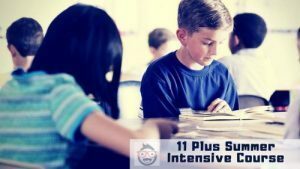 As usual, Geek School Tutoring will be the 11 Plus Intensive Revision Course for children this August. Covering English, maths, verbal and non-verbal reasoning, this is a fantastic opportunity for students in the present year 4 to get a solid start ahead of Year 5, when the 11 Plus curriculum really kicks off. The course covers the core curriculum across all four subjects, to help position your child for success. 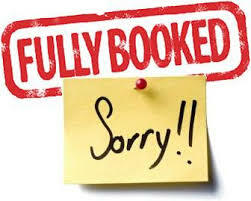 Due to popular demand, our courses are now fully booked. If you would like to find out about our alternative courses for your child, please get in touch today – call Joycellyn on 02086583239. The 11+ Intensive Summer Revision Course is for Year 5 children and advanced Year 4 children. It will cover English, maths, verbal and non-verbal reasoning. There will be a strong focus on exam technique, and students who need to focus on core curriculum will be provided with all the support they need. Students who have attended our 11 Plus Intensive Revision Course can expect to achieve a 20-30% increase in scores – or more! As the course content changes every week, your child can attend one, or any number of these weeks. Please note that our 11 Plus Intensive Summer Revision courses are always oversubscribed as places are limited. So to avoid disappointment, book by 1st August 2018 to secure a place for your child.